Weather you are purchasing or refinancing a home, the home loan process can be very smooth or a rocky one. Let’s discuss 10 ways on how it can be a smooth and a stress free process. Purchasing or refinancing a home is stressful in it’s self because there are a lot of moving parts behind the seen that you do not see or are aware of. My job as a Mortgage Professional is to mitigate as many steps in the process as we can on the lending side before we have borrower involvement. When you hire a mechanic to change your oil, you except to drive your car in a garage and 30 minutes later the job is done, not to have to go out and remove the oil filter and put one back in. I bet if you had to do that you will not hire them a 2nd time. The stakes on the home loan process is a lot higher than an oil change and that is why you need to work with a licensed home loan mortgage professional to ensure they have your best interest in mind and that is one of my goals is to take the punches for you when apply for a home loan. Let’s dive into the 10 ways on how to have a smooth home loan experience. Work with a licensed loan officer that has experience in the lending industry, I know everyone has to start somewhere, like I did some 25 years ago. Work with a professional who has a proven track record of closing many loans through out the years and I am not talking 20 loans, I am talking 50+. What that tells you is that person has product knowledge and has a smooth system to close loans on time. Get pre-approved before you start looking to purchase a home. Need to know your budget and explore loan programs that will work within that budget. We will review your credit, income and ability to have available funds to close escrow. The last thing you need is, have your loan not close because a key component was overlooked that could have been caught from the very beginning. Once you have your pre-approval in hand, the real estate agents on both buying and listing side will know you are a serious buyer since you took the 1st key step which is meet with a mortgage lender. You were pre-approved to purchase a home based on the information supplied and during the home search and that information needs to remain the same of improve. What I mean by that is, credit can not get worse, income can not go down and your funds to close escrow can not be spent, these items need to only improve during the search of the perfect home that fits within your budget. Follow these steps HERE. Stay in communication with your lender and agent if something big comes up, that can or may effect the loan. Things like, decrease in income, vacation, an unexpected trip out of town, etc these things can delay the process of the loan and making solid offers. Communication is key in our business. Make good solid and strong offers on a home, trying to low ball an offer or load it with multiple contingencies will only turn the seller off and the agents will know you are not a serious buyer, at the moment we are in a seller’s market, this can work in a buyer’s market. Always make a good strong offer because you do not want to miss out on something you really want by making a weak offer. Once your offer as been excepted by the seller, we need to update your file with income and asset documentation and if the credit is going to expire soon, will need update the report. As you are out looking at homes, keep a folder handy with current income documentation and bank statements so you have available for the loan officer. You will have 30 days to complete the purchase process, you will have inspections to perform within the contingence period once escrow has been open, need to start those right away and speak with your agent about scheduling those inspections. The loan process should take no longer than 30 days if the loan officer did their part before issuing the pre-approval letter. There will be some hurdles along the way, quick and properly addressed should not slow down the loan process as long as everyone involved communicates with each other and that also includes you, the buyer. From the very first meeting with a loan officer should set expectations with you on the process of purchasing or refinancing a home. If you do not feel comfortable at the first meeting, then you need to move on and find the mortgage professional you will click with and feel that they will perform his or her duty at the 1st meeting.  I hear all the time from borrowers who come to me and say I could not get a hold on my loan officer, the sad thing is they come to me when they are in escrow and that is not the time to switch loan companies. Know that from the beginning of the process, ask them your loan officer how they communicate, text, email, in person or phone call, then ask “can I call anyone in your office if I can not get a hold of you?” Find these things out from the start. You deserve the very best this industry has to offer, do not settle for anything less. Find the mortgage professional who has your best interest in mind with a proven track record, I am officially applying for that position to be your team member when purchasing or refinancing a home, call me direct 909-503-5600.